Trade finance marketplace LiquidX has opened its platform to sharia-compliant transactions. The launch of the new product class is a bid to attract more Islamic investors to the platform, as well as corporates who are looking to raise working capital in a sharia-compliant manner. It comes as the firm announces it has facilitated its first Islamic transaction between Bank of London and the Middle East (BLME), a UK-based Islamic bank, as a funder to another participant on its network. The new solution is now available for other sharia-compliant clients globally, LiquidX says. Put simply, sharia-compliant financial products comply with Islamic law, which prohibits earning interest on loans and is based on the principles of risk and profit sharing. As such, it requires special structuring for Islamic banks to be able to invest in trade finance assets. Speaking to GTR, Zane Baring, director at LiquidX in London, says the firm worked closely with BLME to come up with a structure that could be approved by the bank’s sharia committee – and one which could easily be replicated by other Islamic banks and investors. LiquidX handles a range of transactions, including accounts receivables, supply chain finance, inventory finance, loans and insurance. It processed US$1.8bn in transactions in the second quarter of this year, a 64% increase over the same period the previous year. This growth is only expected to continue: according to Baring, the platform is now facilitating US$800mn a month, which is expected to double by the end of the year. Islamic finance could be an important driver of this growth. The firm is now looking to push the new product class in the Middle East and Southeast Asia, with Bahrain and Malaysia being the key target markets. According to Alex Collingwood, head of commodity trade finance at BLME, the bank will look to use LiquidX for similar transactions in the future. The announcement reflects a growing interest in Islamic finance from around the world, particularly in the trade finance space. In a recent report, Moody’s predicts that Islamic financing assets will grow at 7% this year, thus continuing to outpace conventional counterparts. This is not just the case for Muslim-majority countries: the rating agency also expects a stronger offer for Islamic financial products in Europe, particularly in the UK. 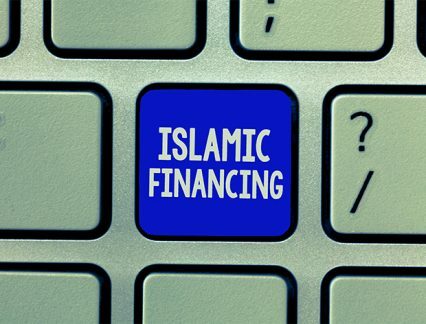 The expectations, the agency notes, reflect the fact that Islamic finance “remains under-represented in the global financial system”, while “demand for sharia-compliant financial instruments is rising”. Speaking to GTR recently for a feature on the subject, bankers pointed to trade finance specifically as an area with huge potential for growth as an Islamic offering, saying they generally see a rise in the amount of new companies now tapping into Islamic trade finance products as a new means of funding. “A lot of conventional customers have started shifting to Islamic finance due to institutional requirements for adherence to sharia principles,” said Krishnakumar Duraiswamy, head of trade finance at Abu Dhabi Commercial Bank. With a changing market, international trade finance and factoring organisations are increasingly looking at how they can facilitate this growth. FCI, the global representative of the factoring and receivables finance industry, recently announced it had amended its ruleset to support sharia-compliant factoring. This means Islamic banks and factoring companies now have a standard framework they can refer to for such transactions. This followed an announcement in February that the Bankers Association for Finance and Trade (Baft) and International Islamic Financial Market (IIFM) were working together to create a master risk participation agreement for Islamic trade finance. Such an agreement will incorporate the practical considerations for funded and unfunded risk participations in trade assets within a sharia-compliant framework. The aim is to reduce the need to carry out much of the expensive and onerous groundwork in ensuring an agreement meets capital rules requirements and other regulatory compliance. In the light of Fitch Ratings labelling the lack of standardisation as one of the greatest obstacles to the growth of Islamic finance, these moves could be crucial to bringing more investors to the market.